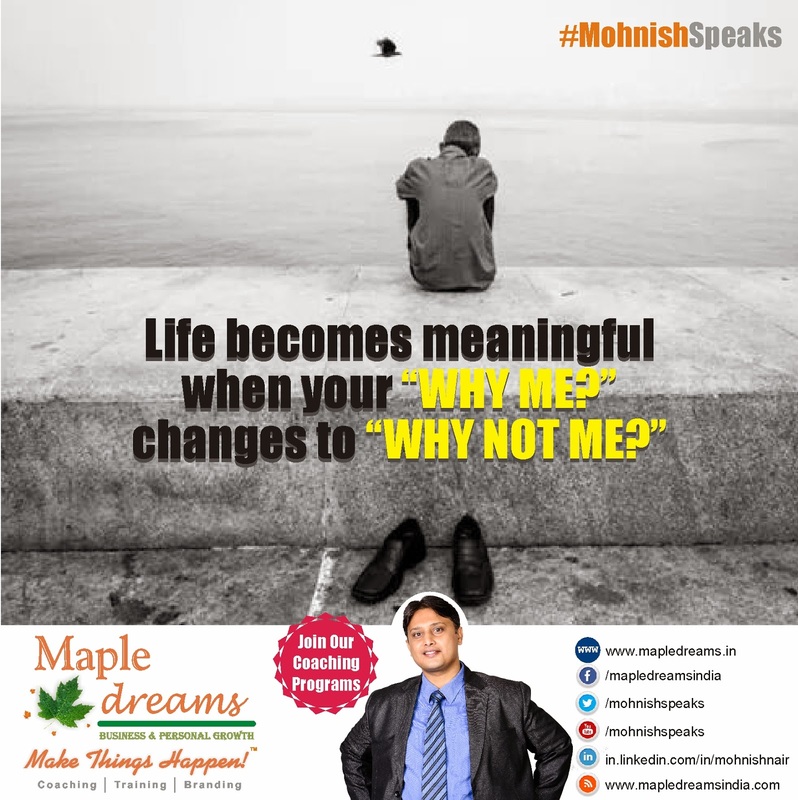 In this episode, Growth coach Mohnish Nair talks about how to create luck in your life. Underperformers get underpaid! That’s the honest truth! 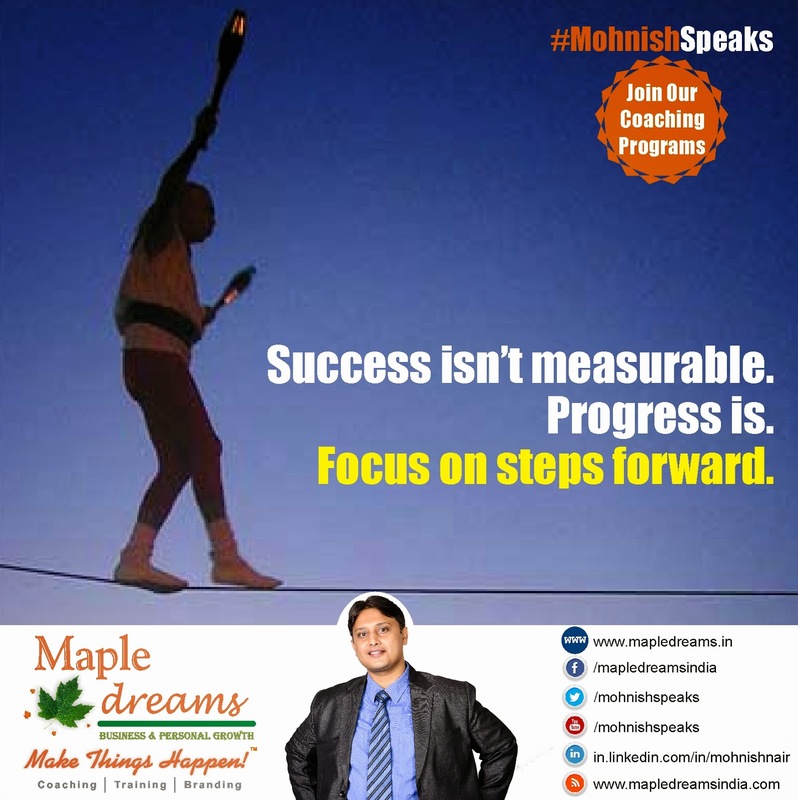 Fast execution is the single most important ability for massive growth. 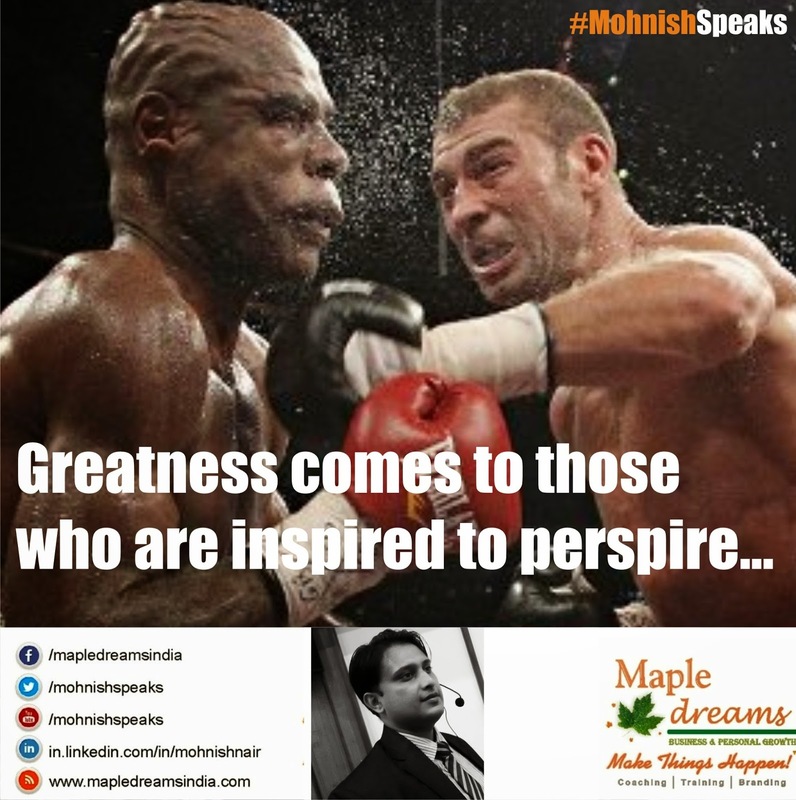 The gap between you and your dreams is your excuses! Kill them today! 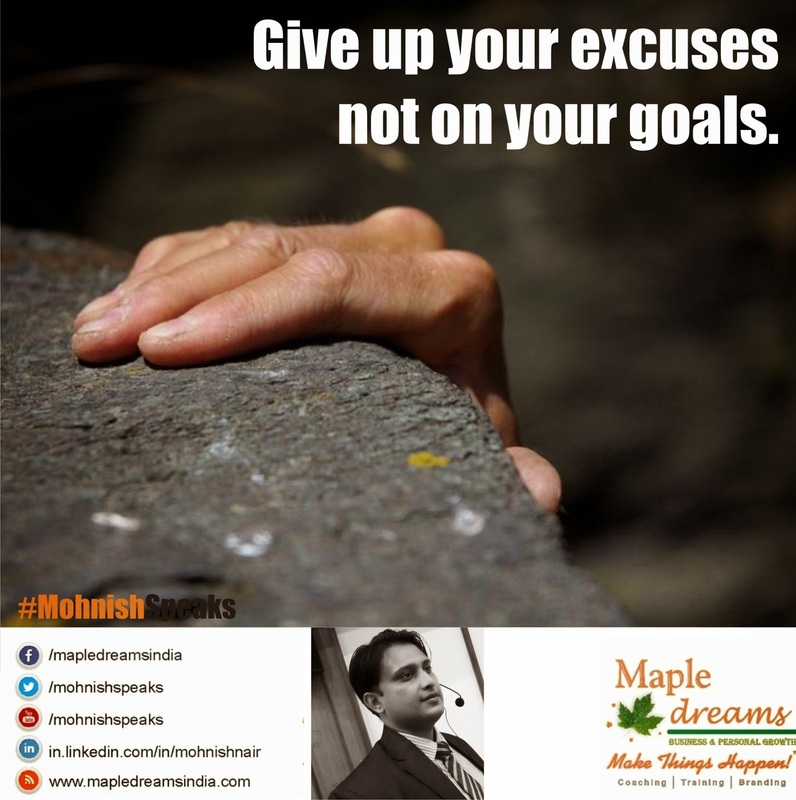 The gap between you and your dreams is your excuses!Kill them today! Finish what you begin! Have an execution filled week! 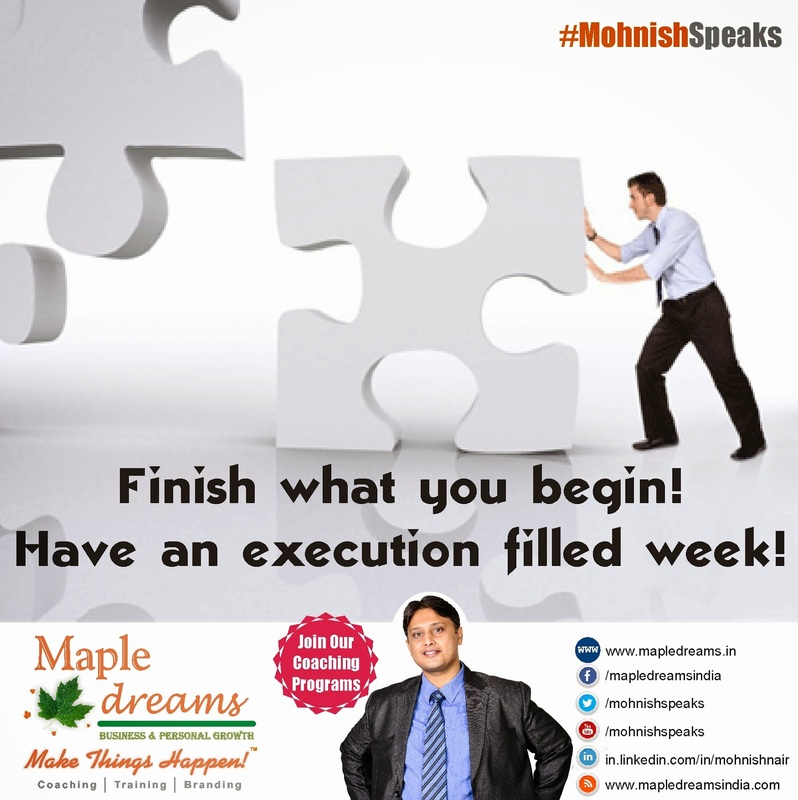 Finish what you begin!Have an execution filled week! 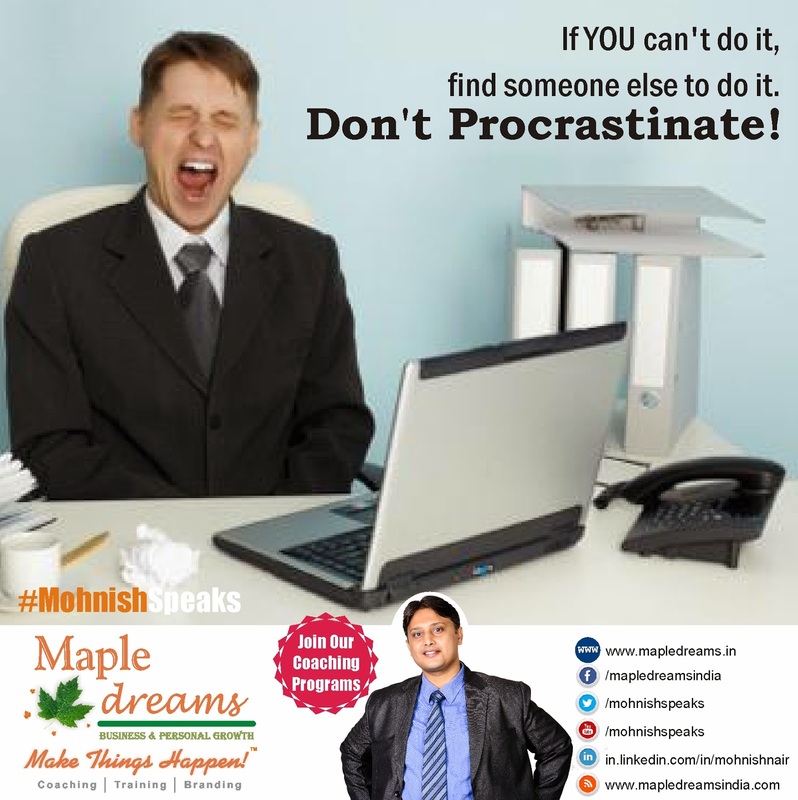 In this episode, Growth coach and small business expert Mohnish Nair talks about how to be focused and productive in a world of distraction. “I will start tomorrow” is your biggest enemy. “I will do it now!” will transform your life. 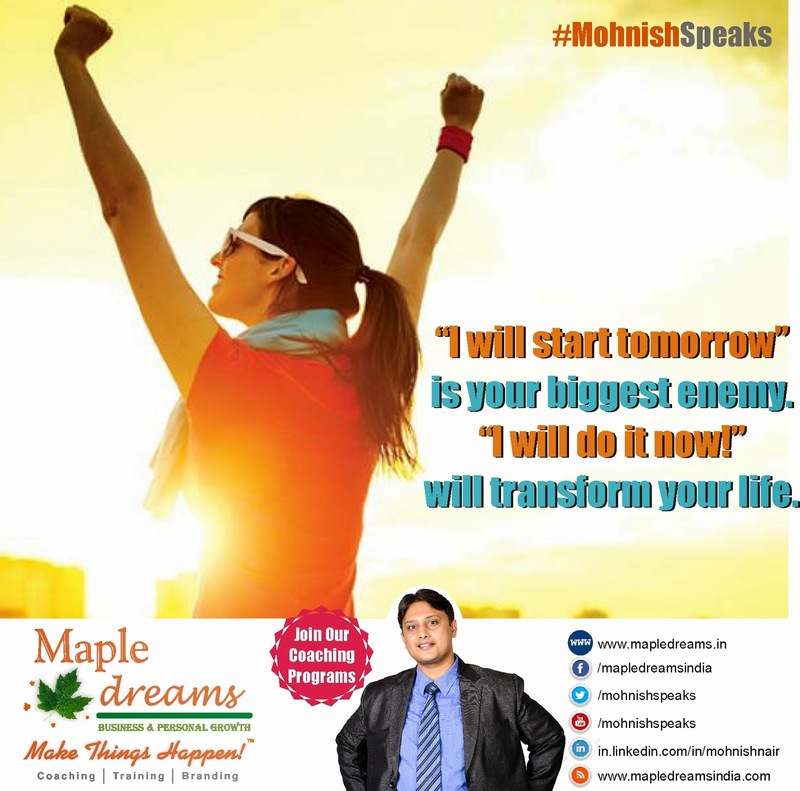 “I will start tomorrow” is your biggest enemy.“I will do it now!” will transform your life. 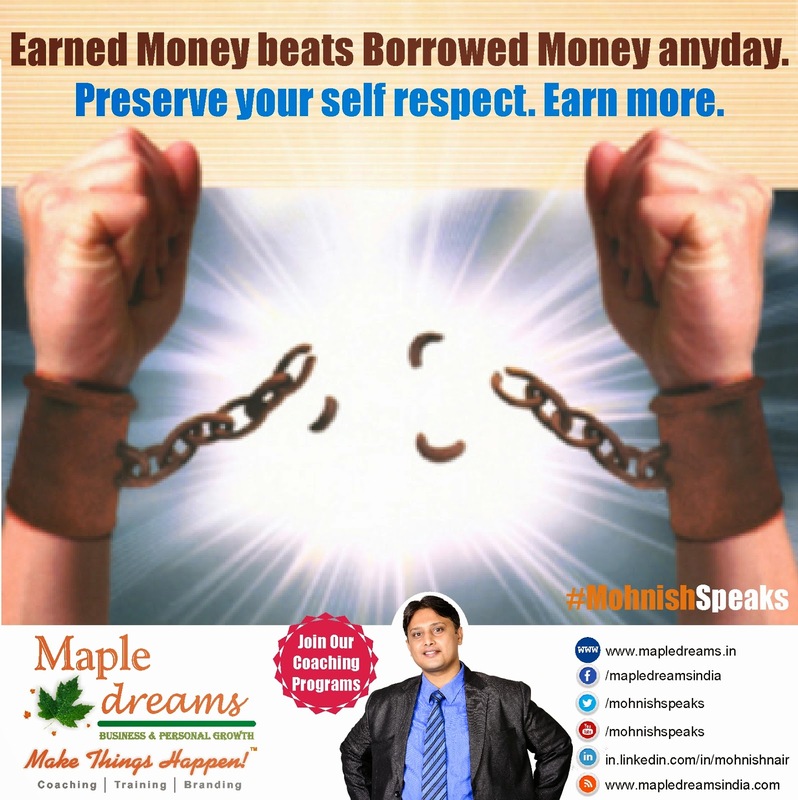 Earned Money beats Borrowed Money anyday. Preserve your self respect. 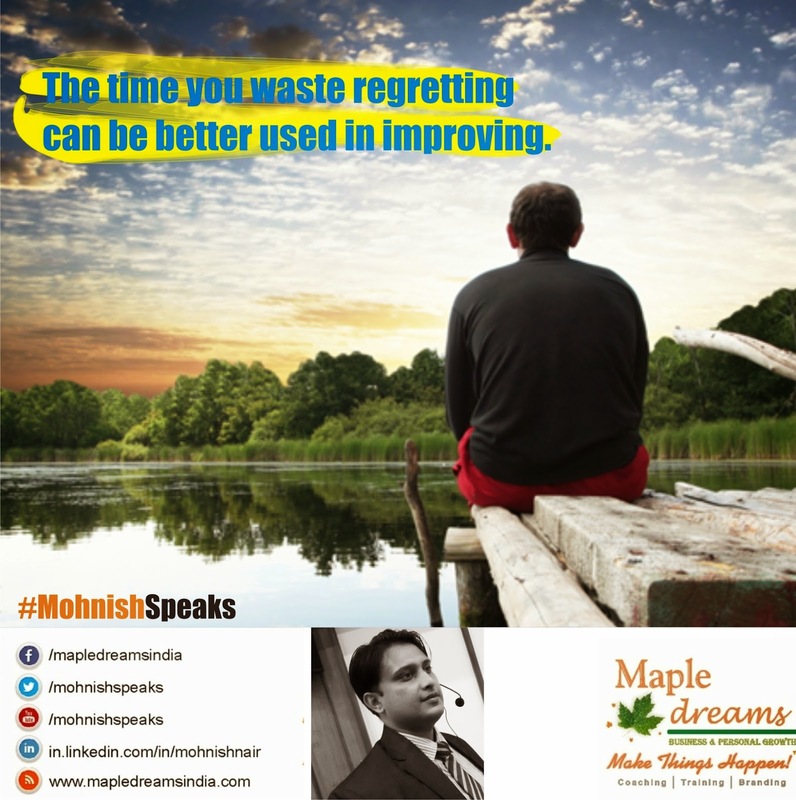 Earn more. Earned Money beats Borrowed Money anyday.Preserve your self respect. 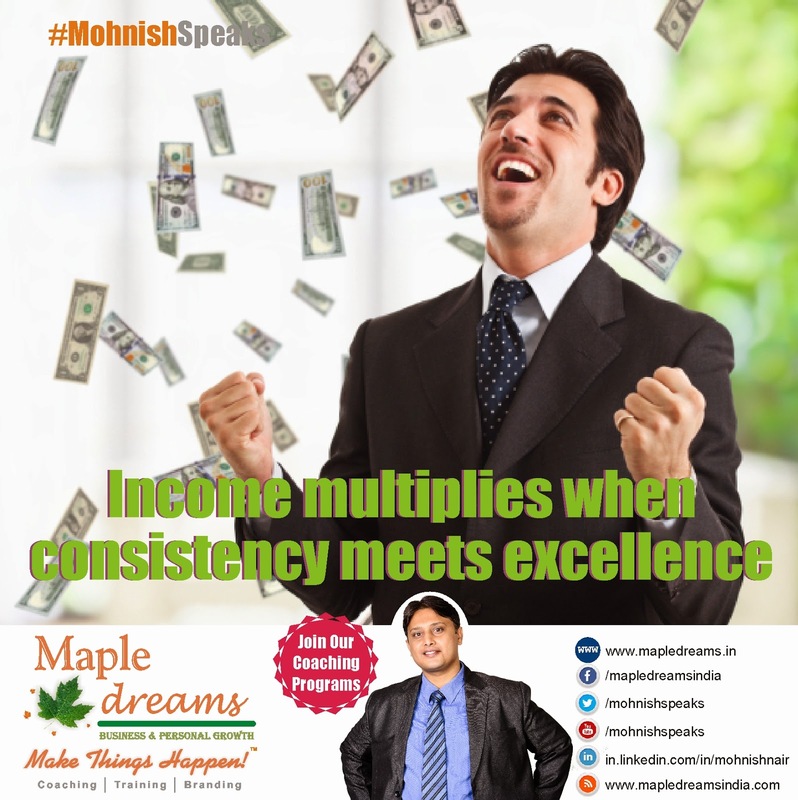 Earn more. 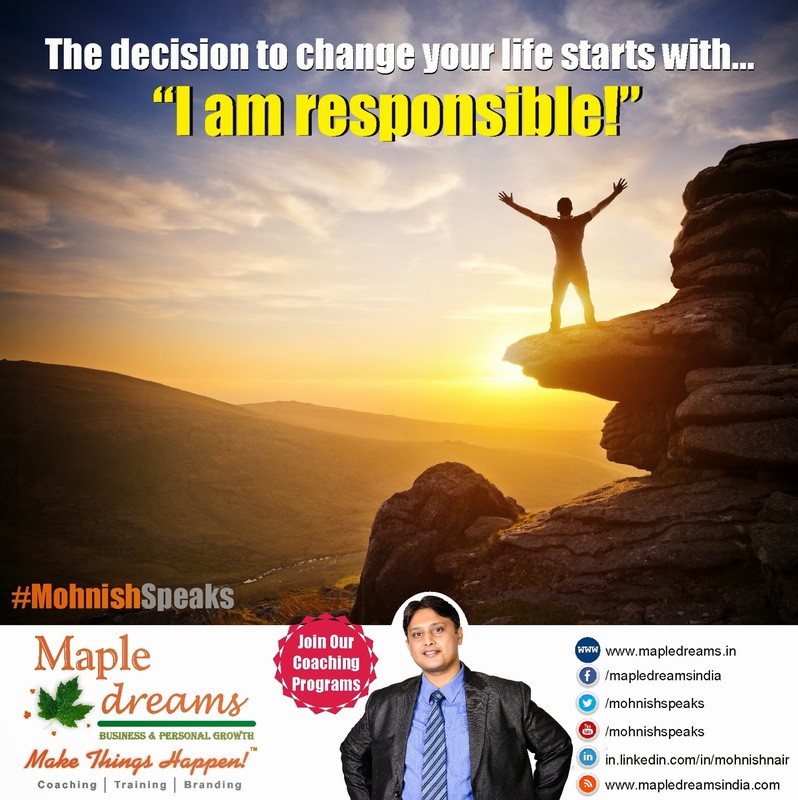 In this episode, Business coach Mohnish Nair talks about what goes into consumer buying decision making and what are the top 4 factors of purchase decision making. 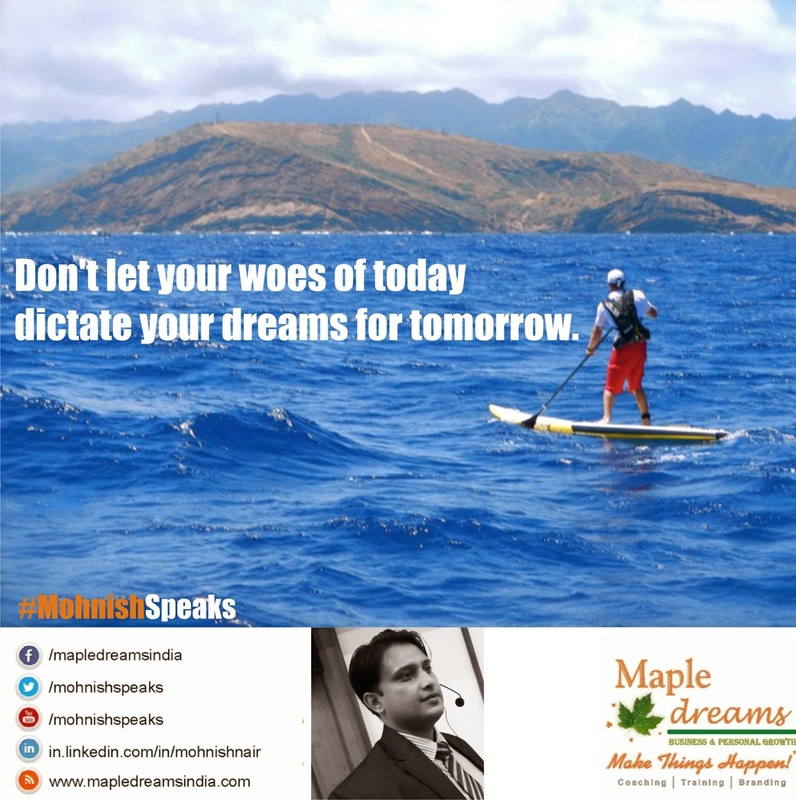 Don’t let your woes of today dictate your dreams for tomorrow. 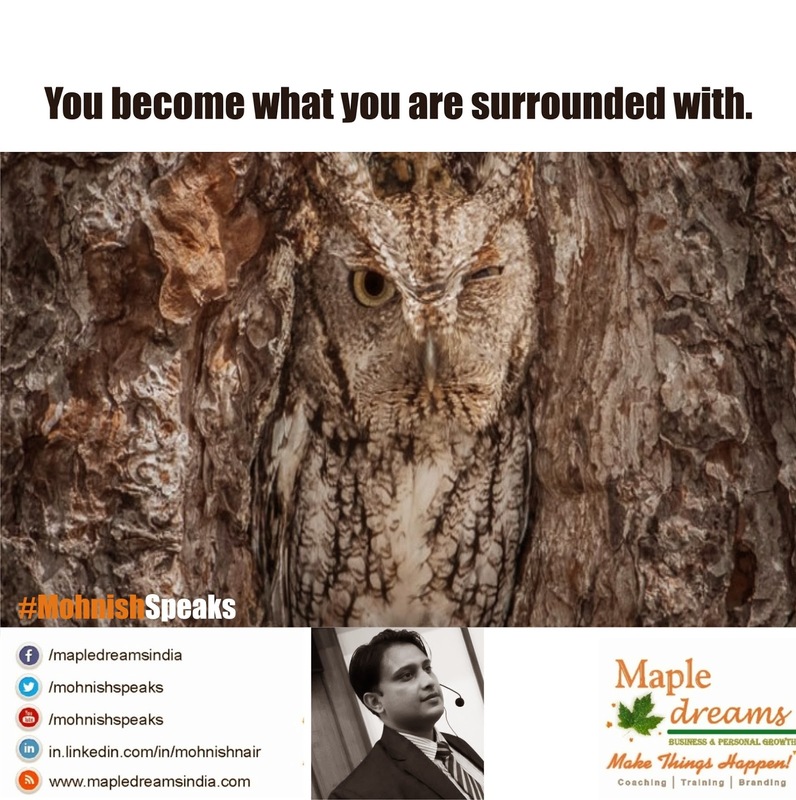 You become what you are surrounded by. 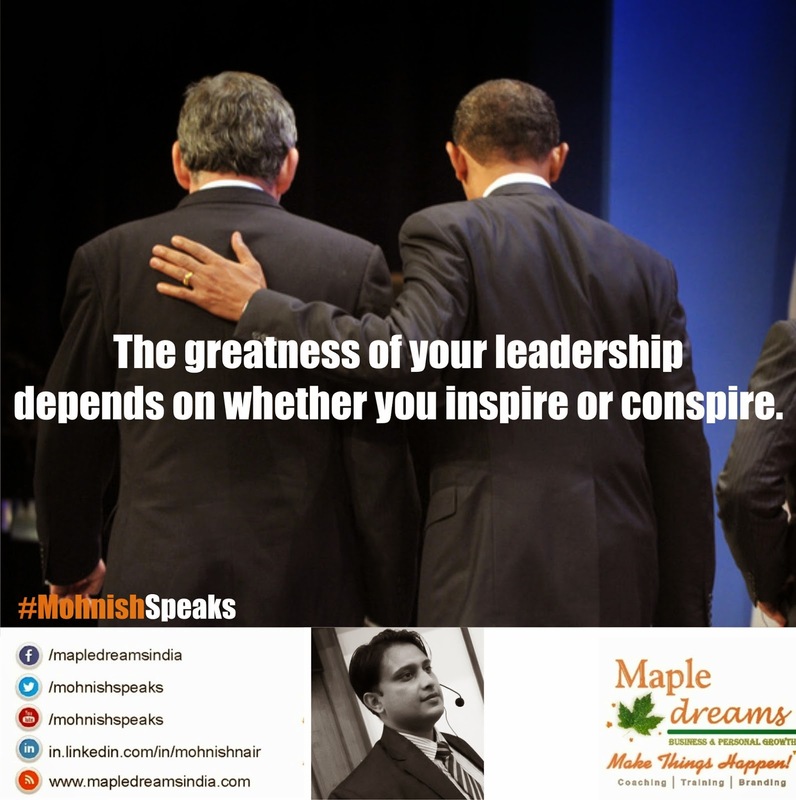 The greatness of your leadership depends on whether you inspire or conspire. 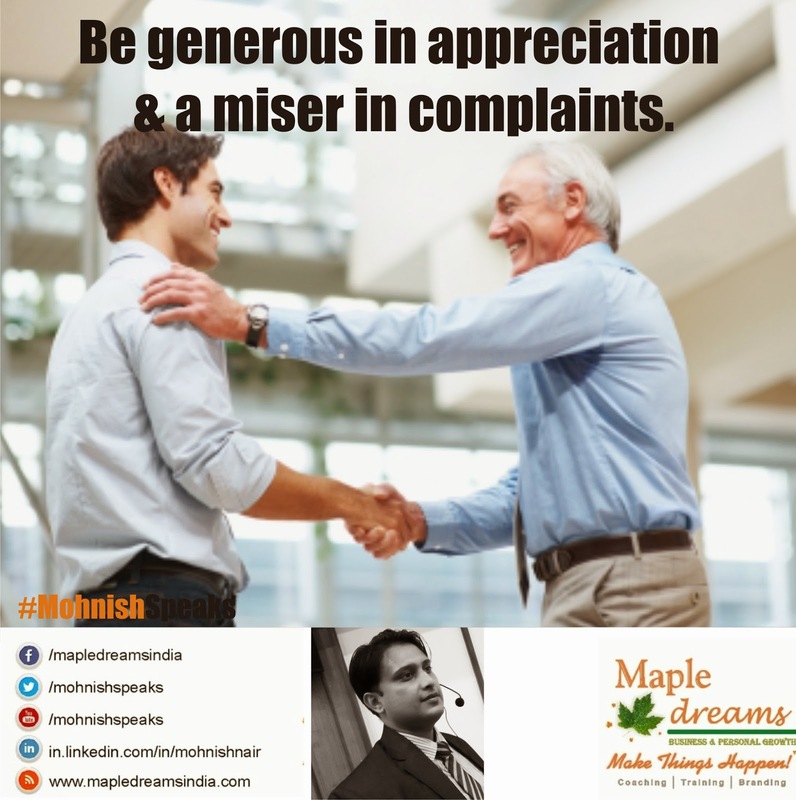 Be generous in appreciation and a miser in complaints. 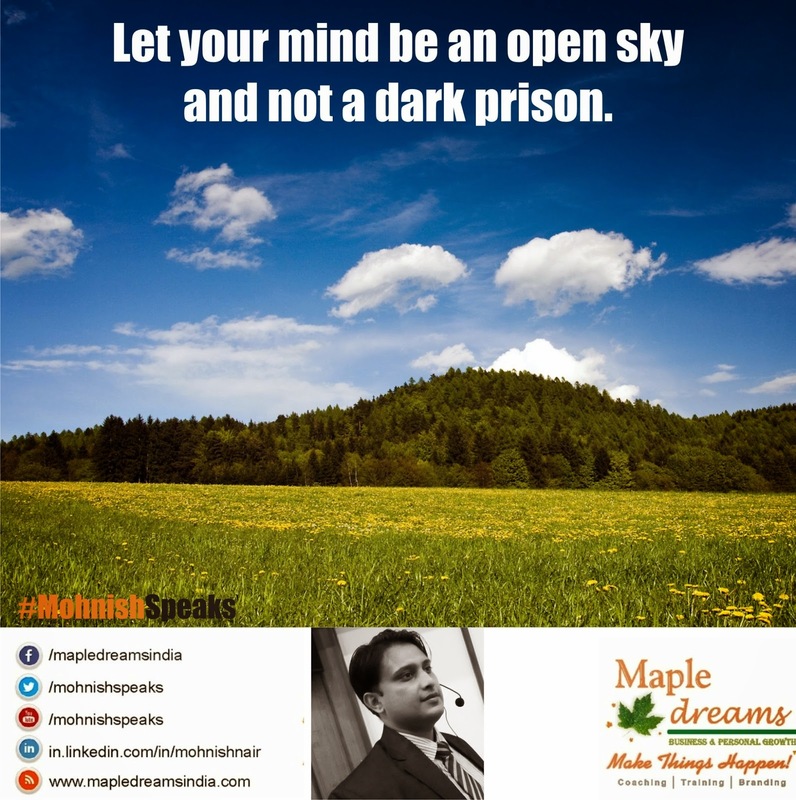 Let your mind be an open sky and not a dark prison. 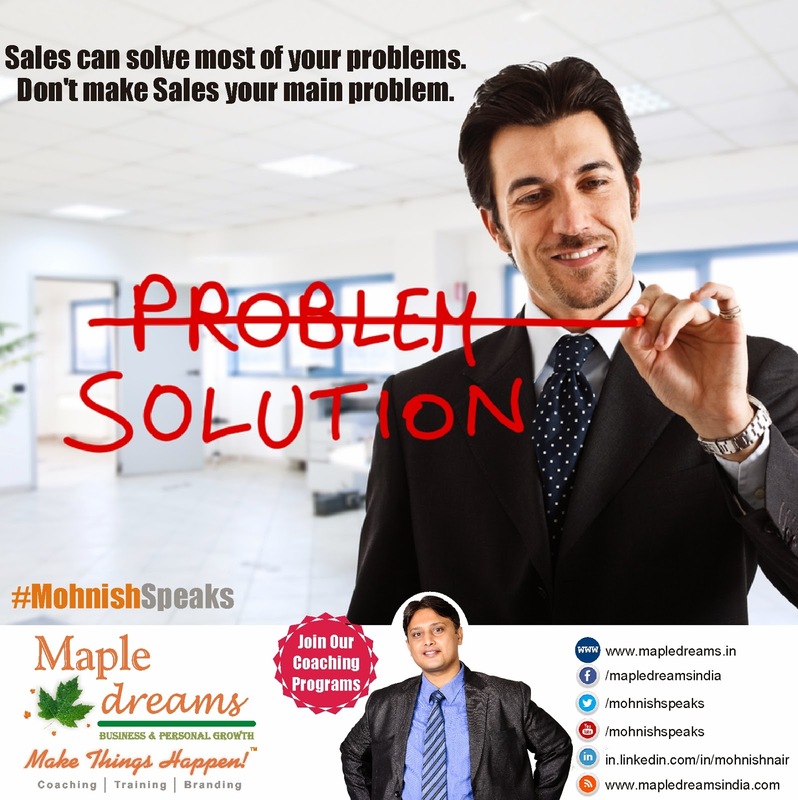 In this episode, Growth Coach, Mohnish Nair talks about the Top 3 Attitudes for Massive Growth in Sales, Business and Life. 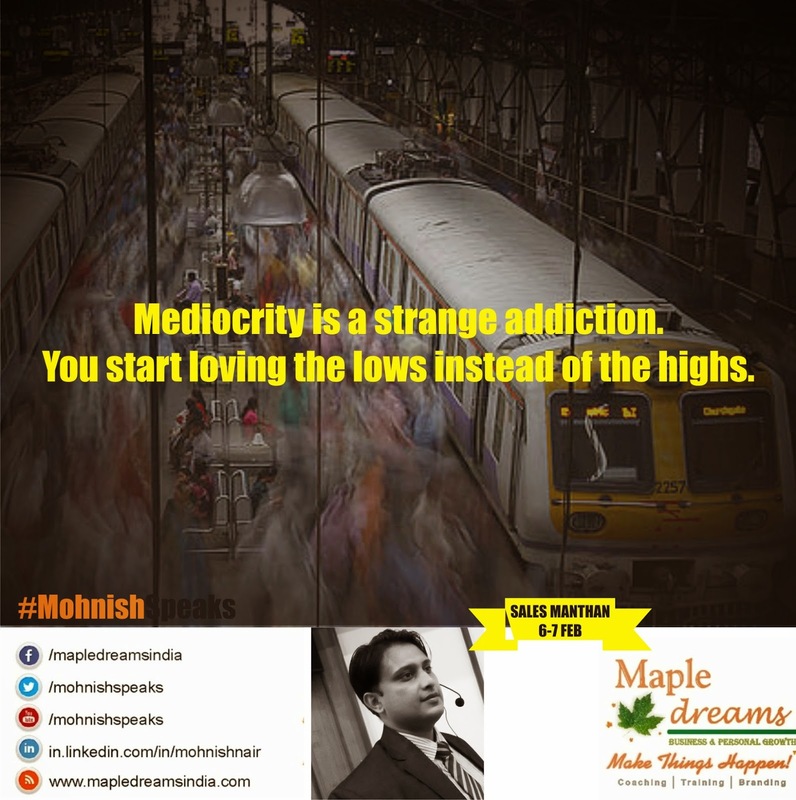 Mediocrity is a strange addiction. You start loving the lows instead of the highs. 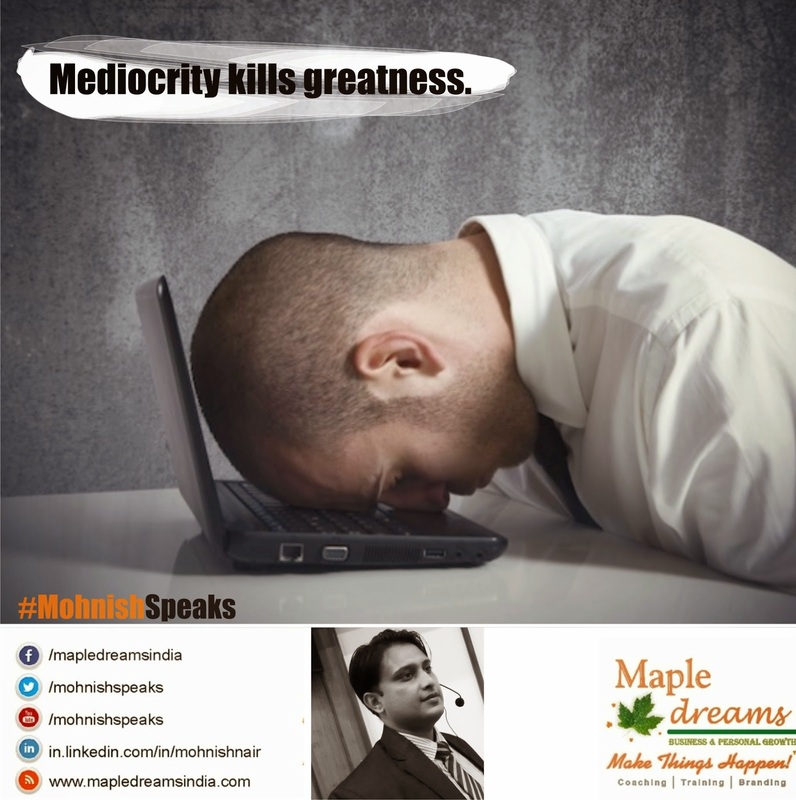 Mediocrity is a strange addiction. You start loving the lows instead of the highs. 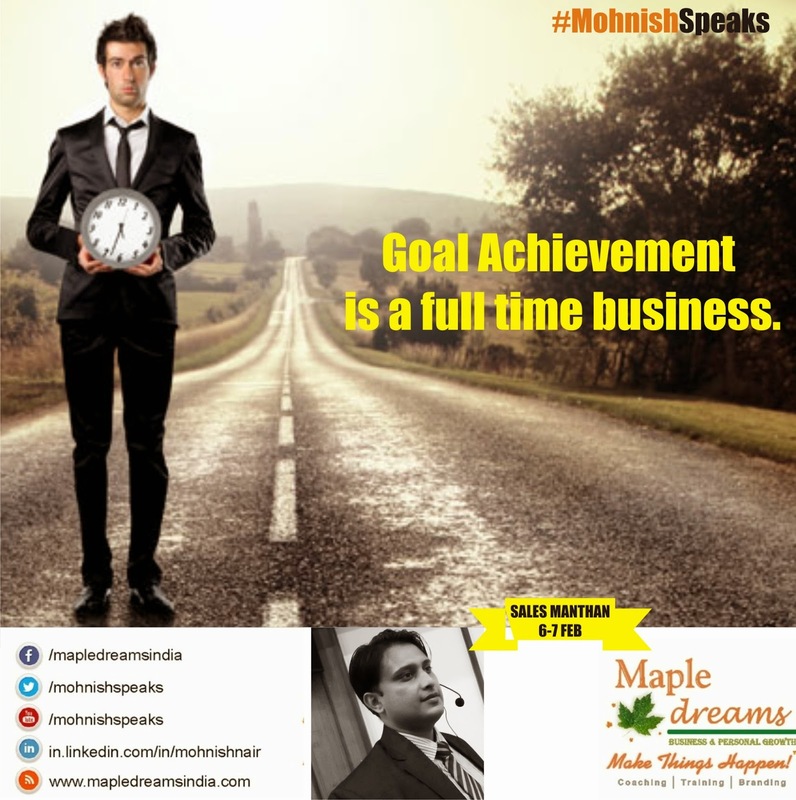 Goal Achievement is a full time business. 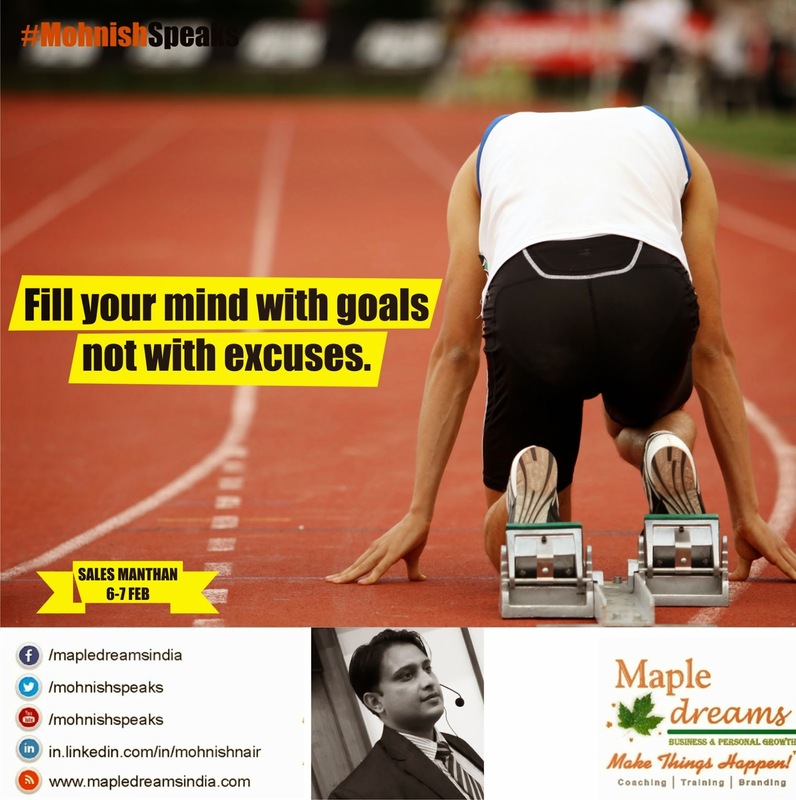 Fill your mind with goals not with excuses. 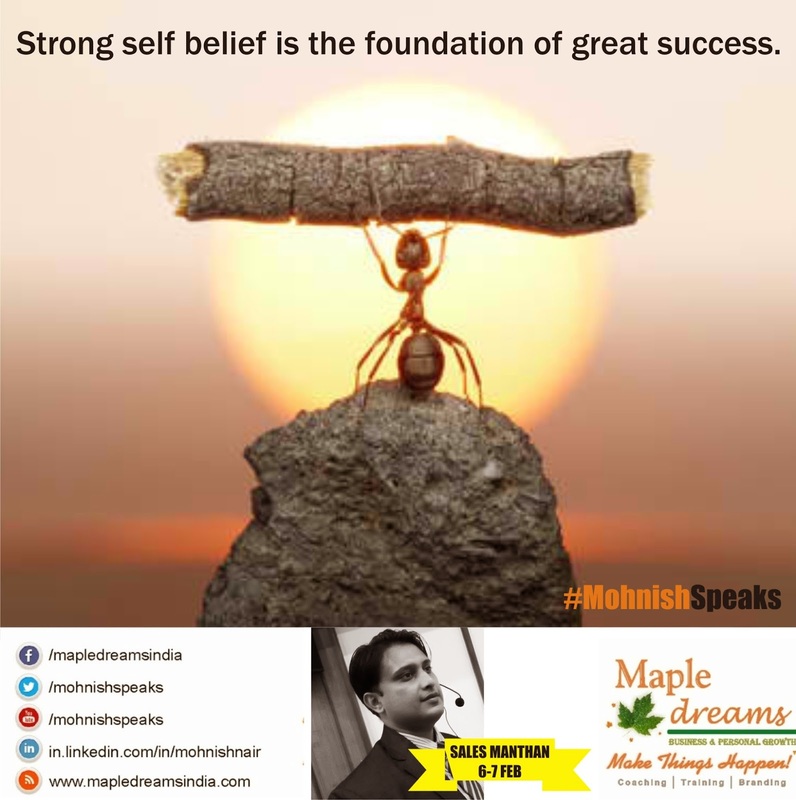 Strong self belief is the foundation of great success. 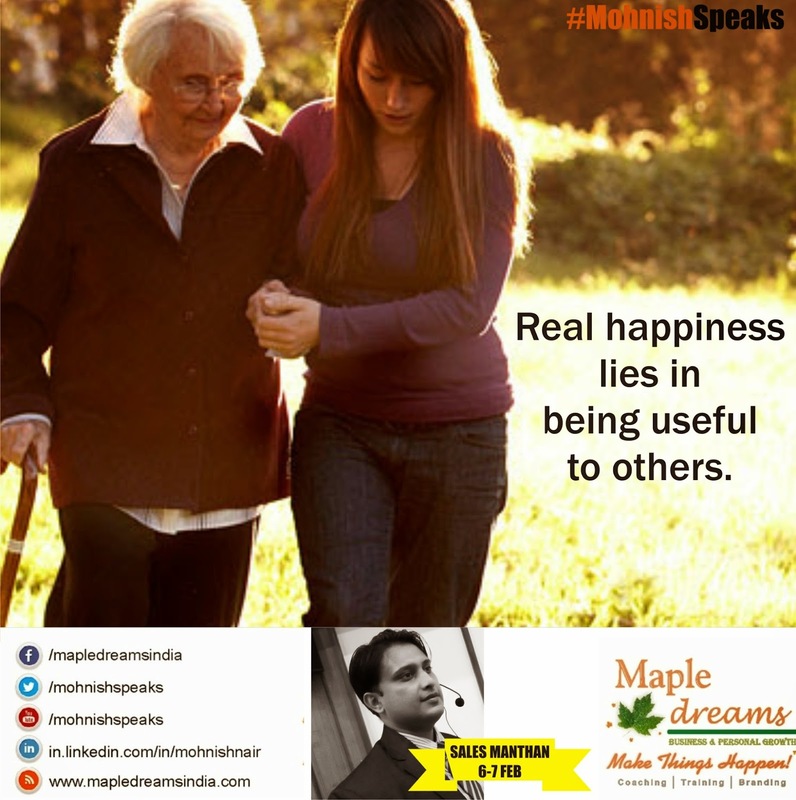 Real happiness lies in being useful to others.